Janina Sara Maria Ramirez (née Maleczek; 7 July 1980), sometimes credited as Nina Ramirez, is a British art and cultural historian and TV presenter, based in Woodstock, Oxfordshire. She specialises in interpreting symbols and examining works of art, within their own historical context. Ramirez went to school in Slough. She gained a degree in English literature, specialising in Old and Middle English, from St Anne's College, Oxford, before completing her postgraduate studies at the Centre for Medieval Studies, University of York. She completed an art/literature PhD on the symbolism of birds, which led to a lectureship in York's Art History Department, followed by lecturing posts at the University of Winchester, University of Warwick, and University of Oxford. Ramirez is currently the course director on the Certificate in History of Art at Oxford University's Department for Continuing Education. —— (2015). The Private Lives of the Saints: Power, Passion and Politics in Anglo-Saxon England. London: WH Allen. ISBN 9780753555606. —— (2016). Julian of Norwich: A Very Brief History. London: SPCK. ISBN 9780281077373. —— (2018). Riddle of the Runes (A Viking Mystery). Oxford: OUP. ISBN 978-0-19-276633-5. Ramirez and her Spanish husband have two children. ^ a b Hughes, Tim (8 October 2015). "Medieval treasure: Meet Janina Ramirez – the woman making history hip". The Oxford Times. Retrieved 9 August 2017. ^ "Course details: Undergraduate Certificate in History of Art". Department for Continuing Education, University of Oxford. Retrieved 29 February 2012. ^ Ramirez, Janina (May 2011). "The Sagas of Iceland: Creating Terra Nova". History Today. 61 (5). Retrieved 26 February 2015. ^ Auty, Louise (26 January 2012). "Ramirez 'illuminates' the world of England's long dead kings". Digital Journal. Retrieved 26 February 2015. ^ "In Search of Arcadia". BBC Four. 9 August 2017. Retrieved 9 August 2017. Ragnar Lodbrok or Lothbrok was a historically dubious Norse Viking hero and legendary king of Denmark and Sweden, known from Viking Age Old Norse poetry and sagas. According to that traditional literature, Ragnar distinguished himself by many raids against Francia and Anglo-Saxon England during the 9th century. There is no evidence that he existed under this name and outside of the mythology associated with him. According to the Tale of Ragnar Lodbrok, Ragnar was the son of the Swedish king Sigurd Ring. The kingdom of East Anglia,, was a small independent Anglo-Saxon kingdom that comprised what are now the English counties of Norfolk and Suffolk and perhaps the eastern part of the Fens. 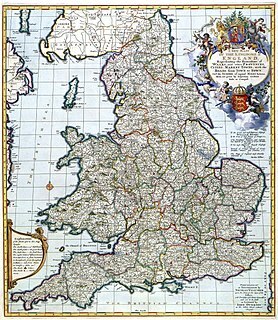 The kingdom was one of the seven traditional members of the Anglo-Saxon Heptarchy. The East Angles were initially ruled by members of the Wuffingas dynasty, named after Wuffa, whose name means 'descendants of the wolf'. The last king was Guthrum II, who ruled in the 10th century. The Fuller Brooch is an Anglo-Saxon silver and niello brooch dated to the late 9th century, which is now in the British Museum, where it is normally on display in Room 41. The elegance of the engraved decoration depicting the Five Senses, highlighted by being filled with niello, makes it one of the most highly regarded pieces of Anglo-Saxon art. An atgeir, sometimes called a "mail-piercer" or "hewing-spear," was a type of polearm in use in Viking Age Scandinavia and Norse colonies in the British Isles and Iceland. It is usually translated in English as "halberd", but most likely closer resembled a bill or glaive during the Viking age. Another view is that the term had no association with a specific weapon until it is used as an anachronism in saga literature to lend weight to accounts of special weapons. Later the word was used for typical European halberds, and even later multipurpose staves with spearheads were called atgeirsstafir. The New Minster Charter is an Anglo-Saxon illuminated manuscript that was likely composed by Bishop Æthelwold and presented to the New Minster in Winchester by King Edgar in the year 966 CE to commemorate the Benedictine Reform. The Gilling sword is an Anglo-Saxon sword, dating from the late 9th to early 10th centuries AD, found by a schoolboy in a river in 1976 and subsequently acquired by the Yorkshire Museum.